Our next Santa Fe adoption event & nail trim opportunity is from 10am to 2pm at El Dorado Country Pet in the Agora Shopping Center (7 avenida Vista Grande, Santa Fe). We are thrilled to be part of their 3rd Annual Customer Appreciation Day festivities! 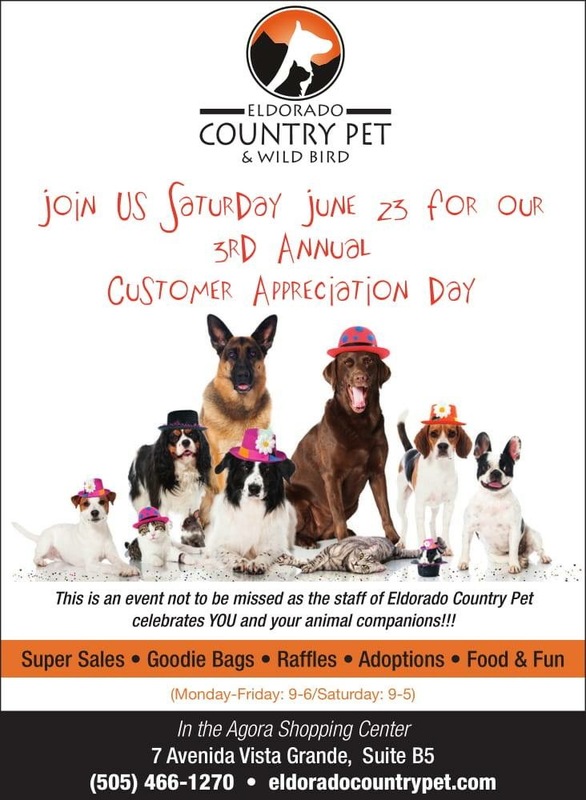 Drop in to buy raffle tix for your chance to win a super El Dorado Pet gift basket! Thanks to our host, raffle proceeds will benefit the Santa Fe Animal Shelter & NMHRS! Swing by to see us on Saturday! eldorado country pet, santa fe. Bookmark.